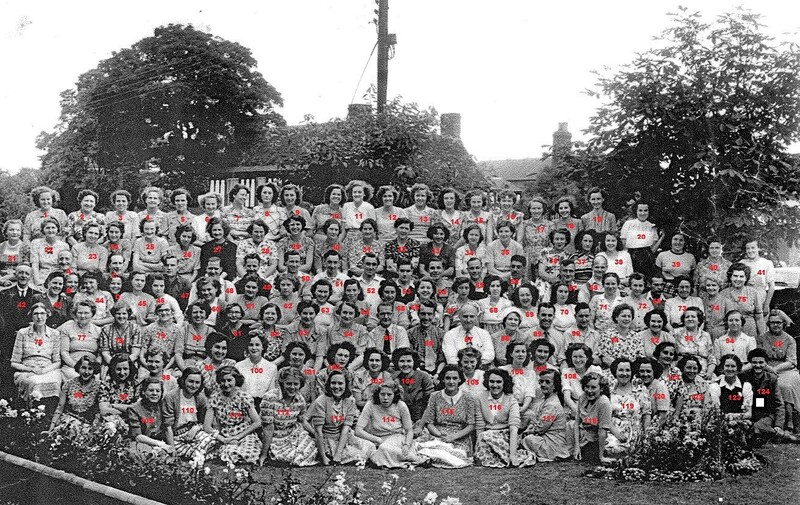 Seen here outside the Witham factory is the Witham team. Taken sometime in the 1950s the Railway pub can just be seen in the background. 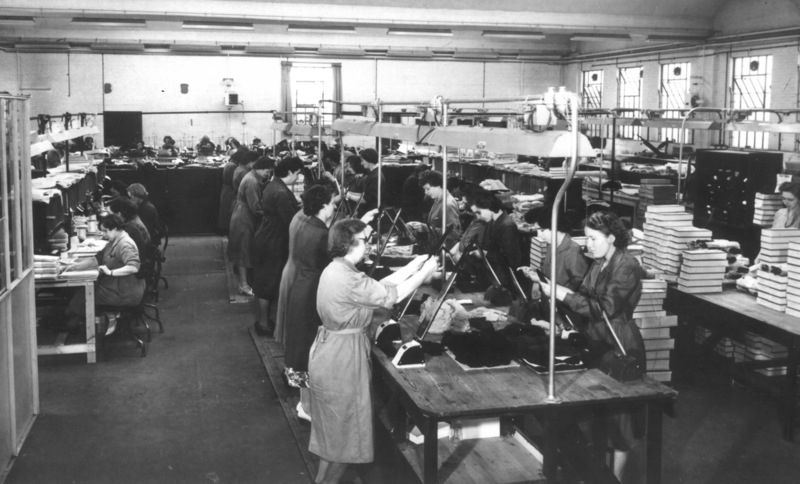 This picture from the 1950s shows the gloves being finished at the Witham factory. Machinists in the background and in the foreground the team are ironing the gloves and packing them in boxes ready for dispatch. 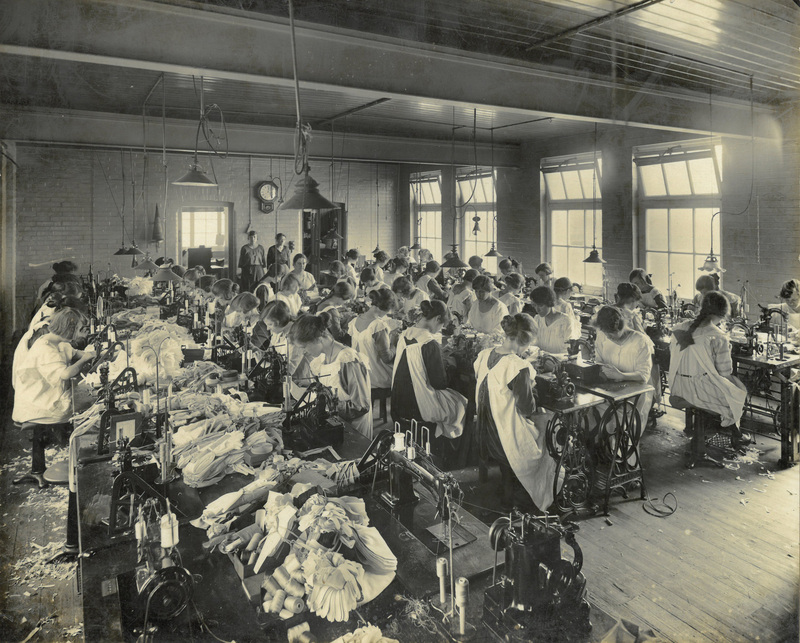 The seated ladies on the left are inspecting each glove to ensure nothing sub-standard leaves the factory. 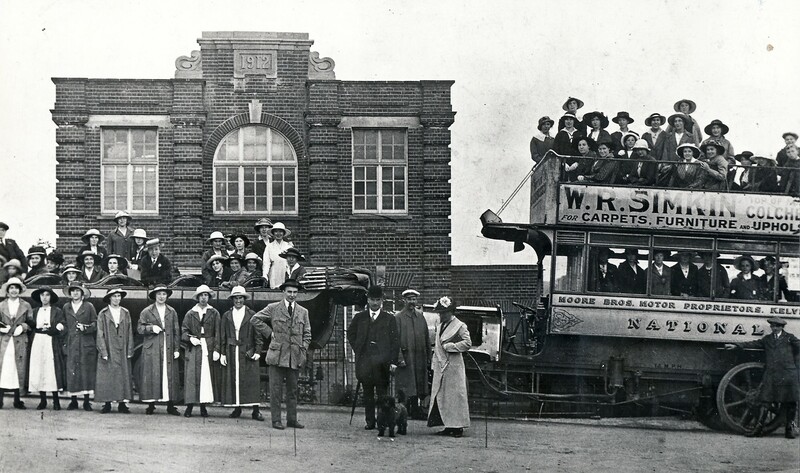 Outside the Witham factory on July 24th 1916 a charabanc and a double decker bus run by Moore Brothers bus company are ready to set off on a factory outing to Clacton. Minnie Ottley in white and Herbert Keeble wearing a boater can be seen in the charabanc. Edith Sutton is standing in the double decker third from the left. Leslie Pinkham is in the centre foreground standing on his own with his hand in his pocket and William and Rebecca, his parents are on his left with Curly their dog. 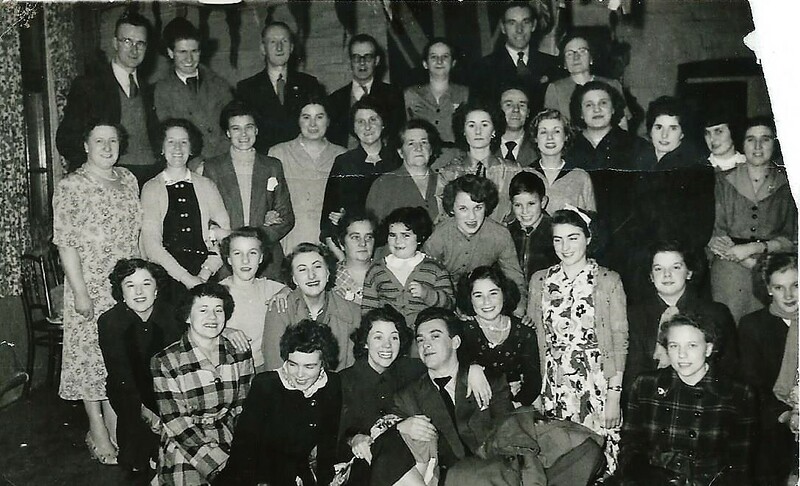 From the 1940s and 1950s these two photographs give an idea of how time was spent when not working. 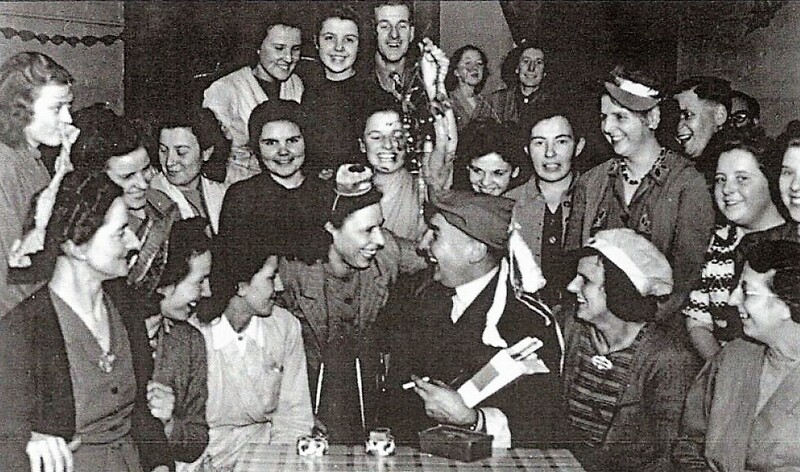 Leslie Pinkham can be seen in the left hand photograph. Herbert Keeble began working at The National Glove Company in 1911 at the age of thirteen. 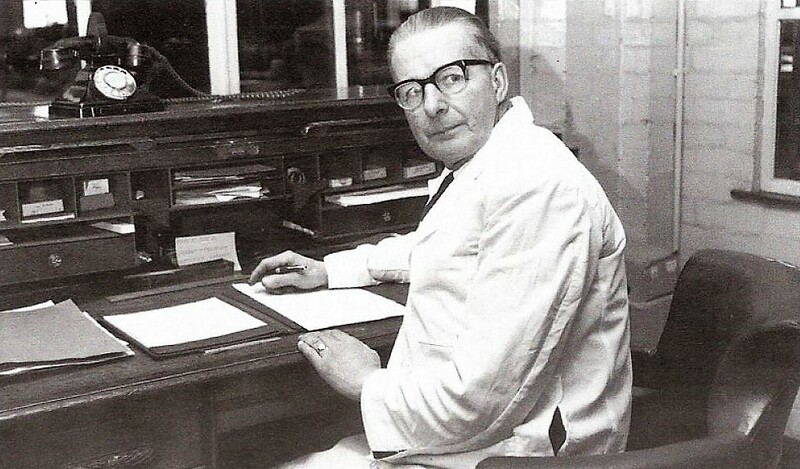 One of eleven children he worked a twelve hour day and having started sweeping the factory floor he retired fifty three years later as a director of the company. 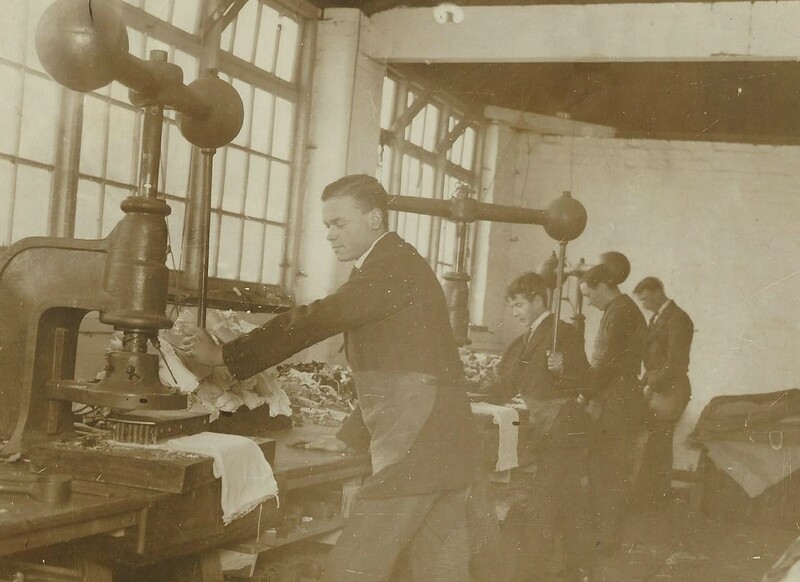 This photograph was taken on January 2nd 1914 in the Witham factory cutting room and shows Herbert Keeble on the right and Leslie Pinkham in the centre. If you know who the lad on the left is please get in touch. 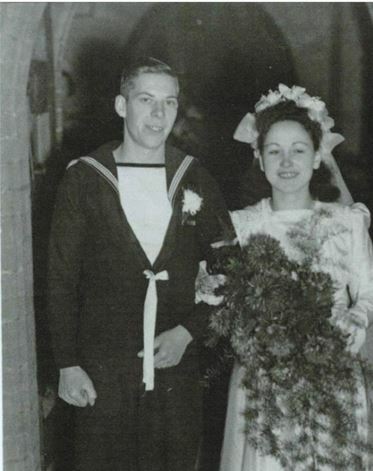 Seen here on her wedding day in 1945 Veronica Cook worked at the Witham factory in the 1940s and 50s. 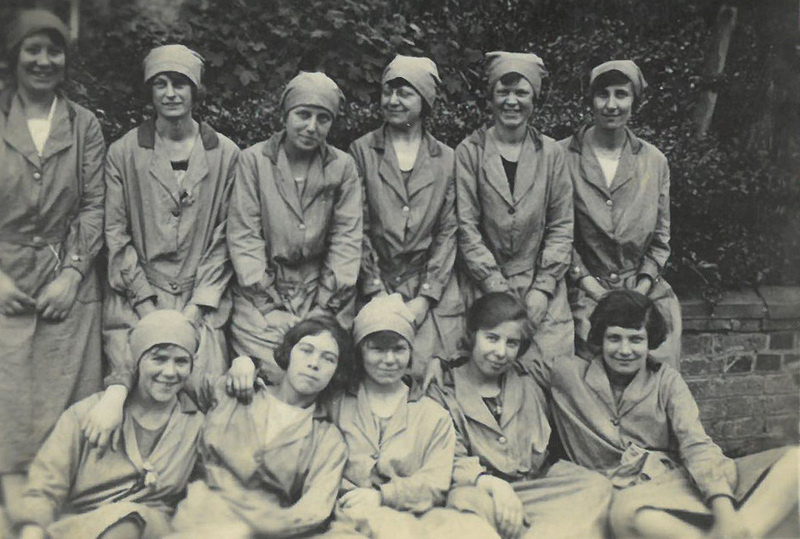 Her husband Leslie worked at the Crittal's factory at Silver End. These photographs were taken during the latter part of 1923 and were used for the 1924 British Empire Exhibition where The National Glove Company showed off its ranges of gloves to the world. 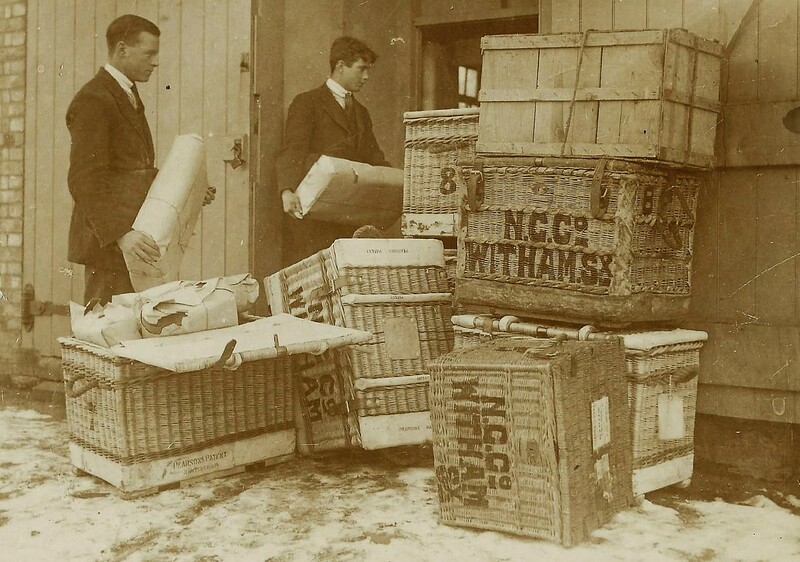 Seen here on the left unloading bales of fabric at the Chelmsford factory. The cutting room team cutting out fabric ready for sewing. 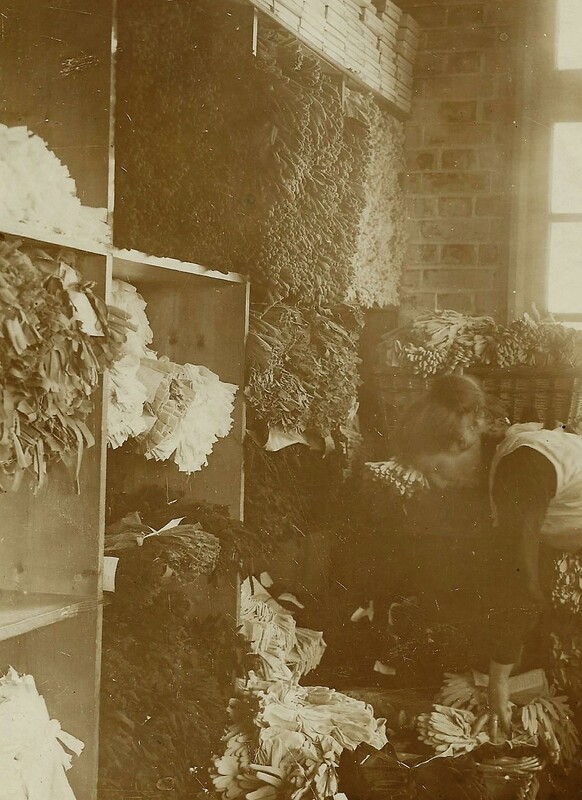 A store in the Chelmsford factory around 1924 where Mabel Chalk is seen sorting the partly finished gloves ready to go through to the machinists for sewing up. 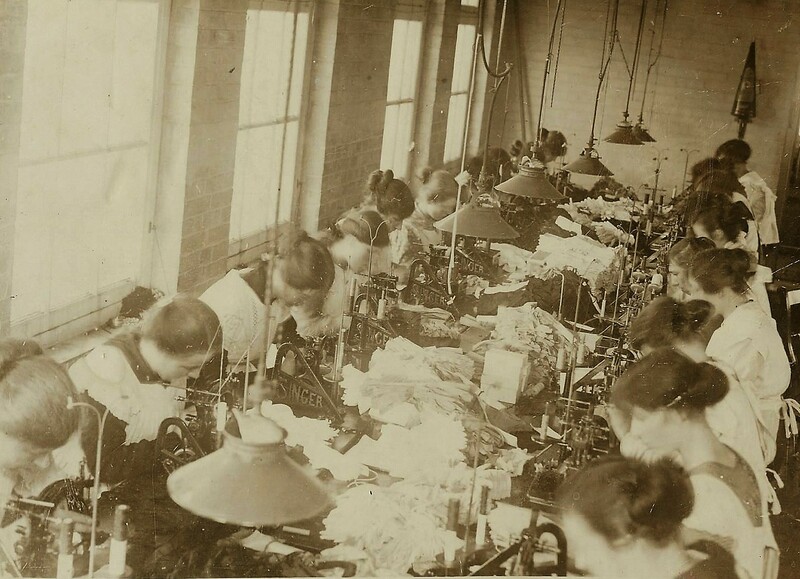 Machinists sewing fabric gloves at the Witham factory, it's close up work. Natural light streaming through the windows would have helped for some of the day. 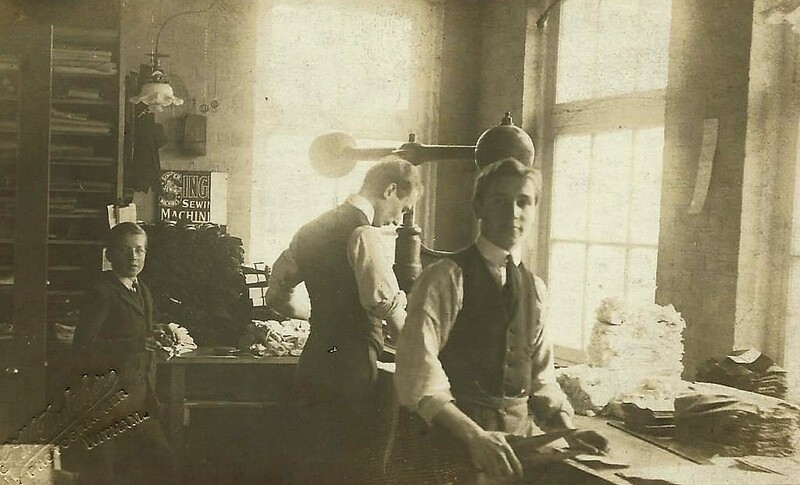 Look for the two 'supervisors' watching over the production benches in this picture taken in 1920. Once the gloves had been sewn up they were prepared for packing. Seen here Minnie Ottley and Miss Harrington are seen in 1923 at the Witham factory ironing fabric gloves. 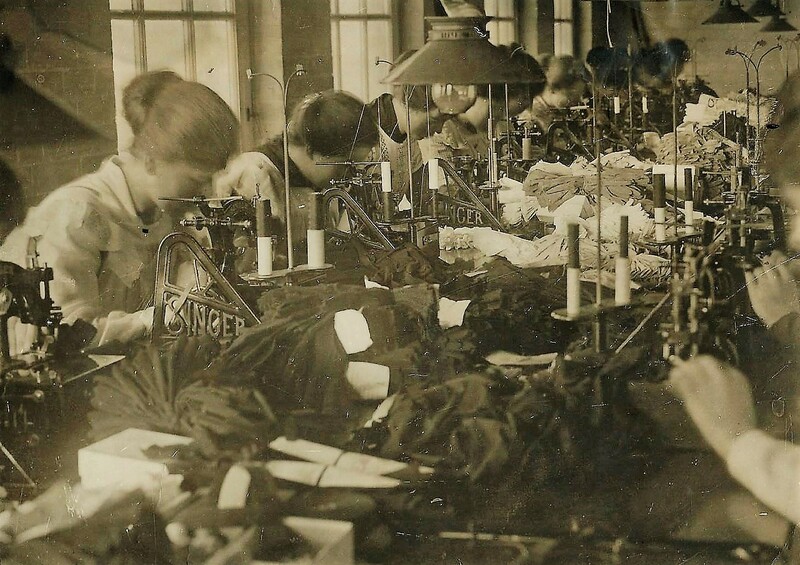 Once the gloves had been ironed and inspected they were ready for packing. 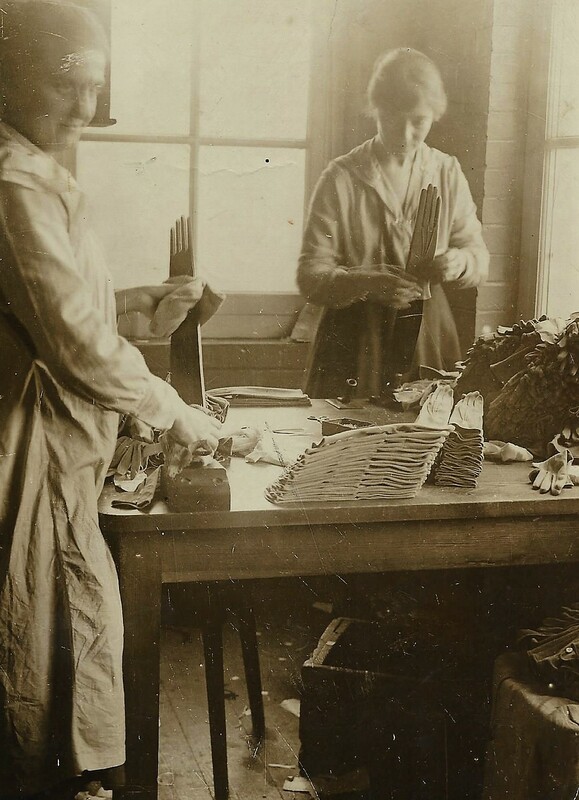 Here Rosie Birch (on the right) along with a colleague is bundling and banding fabric gloves into packs of a dozen which were then placed in cardboard boxes and labelled up ready for dispatch. 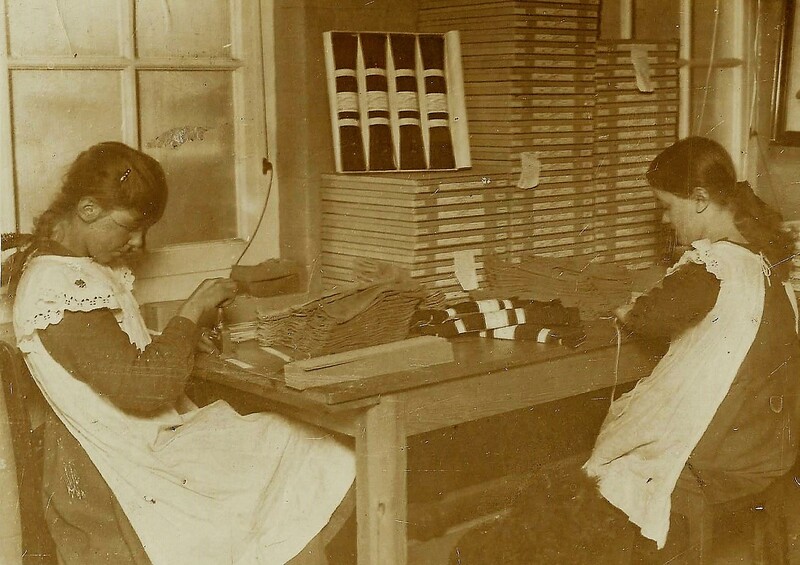 Rosie went on to devote her entire working life to the company. 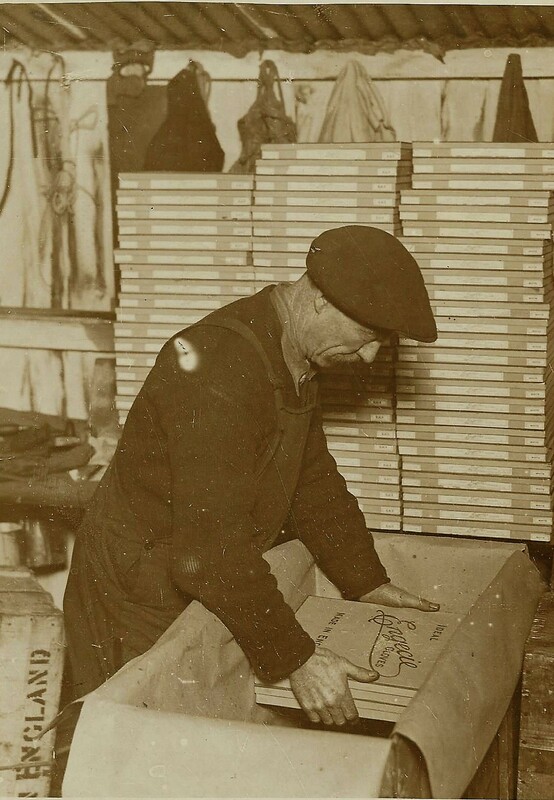 Here in 1923 Chas Halmond is packing the Engecie glove boxes into outer cartons some of which would find themselves going to many corners of the world. 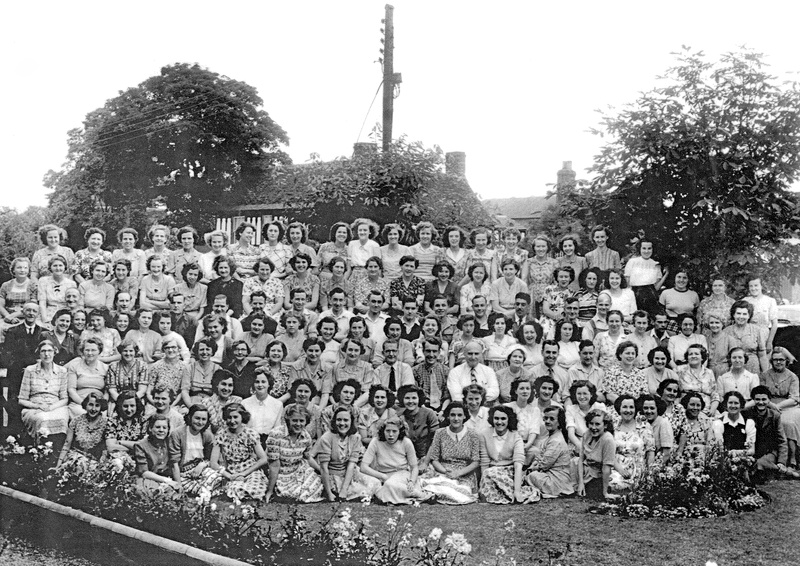 These photographs show some of the Chelmsford team still in their work wear relaxing. Emily Wade (neè Carter) is on the far right. 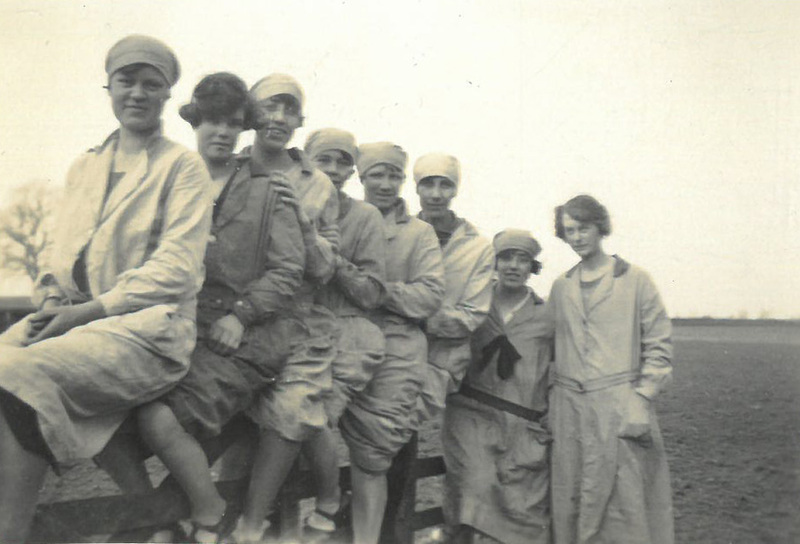 Emily Wade (neè Carter) is second from the left in the back row and Florrie Wade (neè Baldwin) is second from the right in the front row.